Bradford archaeologists are part of an international research team that has uncovered a host of previously unknown archaeological monuments around Stonehenge in a project that will transform our knowledge of this iconic site. 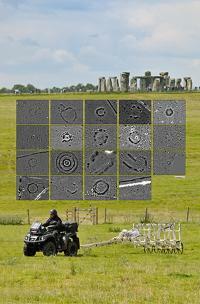 Results from the Stonehenge Hidden Landscapes Project are unveiled today at the British Science Festival in Birmingham. They show how, using new remote sensing techniques and geophysical surveys, the team has uncovered 17 previously unknown ritual monuments around the site, along with dozens of burial mounds – all of which have been mapped in minute detail. Researchers at the University of Bradford are partners in the project, which is led by the University of Birmingham and the Ludwig Boltzmann Institute for Archaeological Prospection and Virtual Archaeology, in Austria. 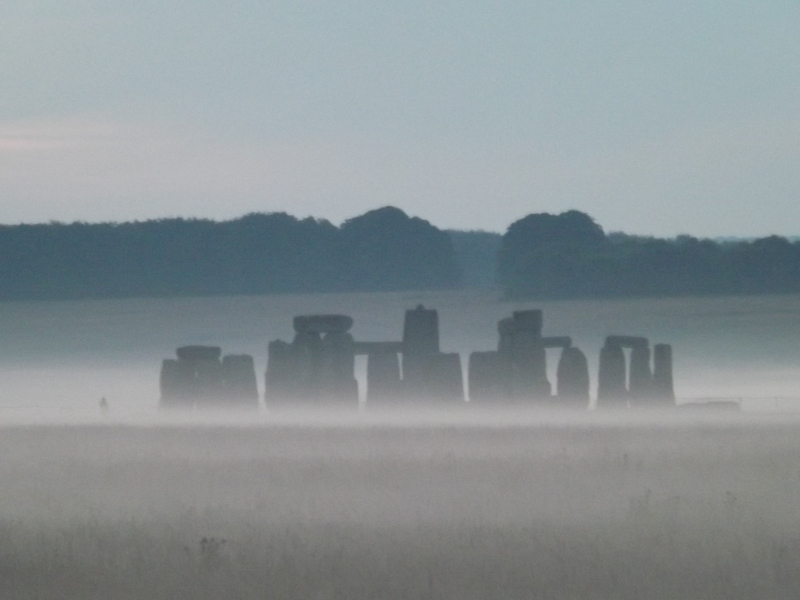 Stonehenge is a tourist mecca that still retains an air of magic and mystery. Grand, centuries-old cathedrals distinguish Great Britain’s cities and towns, providing spiritual nourishment to those who visit. These places of worship seem ancient almost beyond imagination. But long before Gothic cathedrals … long before recorded history even, Britain’s stone circles were this land’s sacred spots. Stonehenge is the most famous of these – and has a new visitors center to serve nearly 1 million annual sightseers. As old as the pyramids, this site amazed medieval Europeans, who figured it was built by a race of giants. Archaeologists think some of these stones came from South Wales – 150 miles away – probably rafted then rolled on logs by Bronze Age people. Most believe stone circles functioned as celestial calendars, and even after 5,000 years Stonehenge still works as one. As the sun rises on the summer solstice (June 21), the “heel stone” – the one set apart from the rest – lines up with the sun and the altar at the circle’s center. With the summer solstice sun appearing in just the right slot, prehistoric locals could tell when to plant and when to party. Despite the tourist hordes, Stonehenge retains an air of mystery and majesty (partly because smartly designed barriers, which keep visitors from trampling all over it, foster the illusion that it stands alone in a field). While Stonehenge is viewable only from a distance, Britain is dotted with roughly 800 lesser-known stone circles. A favorite is Avebury. Just 19 miles north of Stonehenge, it’s 16 times as big. And Avebury is a megalithic playground, welcoming kids, sheep and anyone interested in a more hands-on experience. Visitors are free to wander among its 100 stones, ditches, mounds, and curious patterns from the past, as well as stroll in the village of Avebury, which grew up around and even within this fascinating 1,400-foot-wide Neolithic circle. In the 14th century, in a frenzy of religious paranoia, Avebury villagers buried many of these mysterious pagan stones. Their 18th century descendants hosted social events in which they broke up the remaining stones. In modern times, the buried stones were dug up and re-erected. On a recent visit, enjoying the half-mile walk along the perimeter path, I tried to make sense of the earthen ditch and bank, grateful for the concrete markers showing where the missing broken-up stones once stood. In the moorlands of southwest England, smaller stone circles composed of weathered craggy rocks are even more evocative. (Good local maps mark them.) Windswept and desolate, Dartmoor National Park has more of these than any other chunk in the country. On one visit, I trekked from the hamlet of Gidleigh through a foggy world of scrub brush and scraggy-haired goats on a mission to find a 4,000-year-old circle of stone. Venturing in the pristine vastness of Dartmoor, I sank into the powerful, mystical moorland – a world of greenery, eerie wind, white rocks and birds singing but unseen. Climbing over a hill, surrounded by sleeping towers of ragged, moss-fringed granite, I was swallowed up. Hills followed hills followed hills – green growing gray in the murk. Then the stones appeared, frozen in a forever game of statue maker. For endless centuries they waited patiently, still and silent, as if for me to come. I sat on a fallen stone, observing blackbirds and wild horses. My imagination ran wild, pondering the people who roamed England so long before written history, feeling the echoes of druids worshipping and then reveling right here. The Castlerigg Stone Circle is a highlight in England’s Cumbrian Lake District. While just off the main road near the town of Keswick, it feels a world away. With each visit I marvel at how the stones line up with the surrounding mountain peaks. Sitting alone (except for the sheep) in the middle of this circle of stones, drenched in lush and pristine Lake District beauty, I imagined dancing druids, and dancing flames, and the fear that winter would snuff out spring forever. Scotland has its own breed of stone circles. At Clava Cairns, set in a peaceful grove of trees just a few minutes’ drive from Inverness, are the remains of three thought-provoking stone igloos, each cleverly constructed with a passageway that the sun illuminates, as if by magic, with each winter solstice. Nobody knows for sure what these stone circles meant to the people who built them. But their misty, mossy settings provide curious travelers with an intimate and accessible glimpse of the mysterious people who lived in prehistoric Britain. When in Britain, strive to find your own private circle – an obscure, weathered bit of 4,000-year-old mounds and ditches with a couple of surviving upright stones. Come just as darkness is chasing out the twilight, and imagine rituals from the dank and misty past. The chill and the wonder will combine to leave you with a lifelong memory.